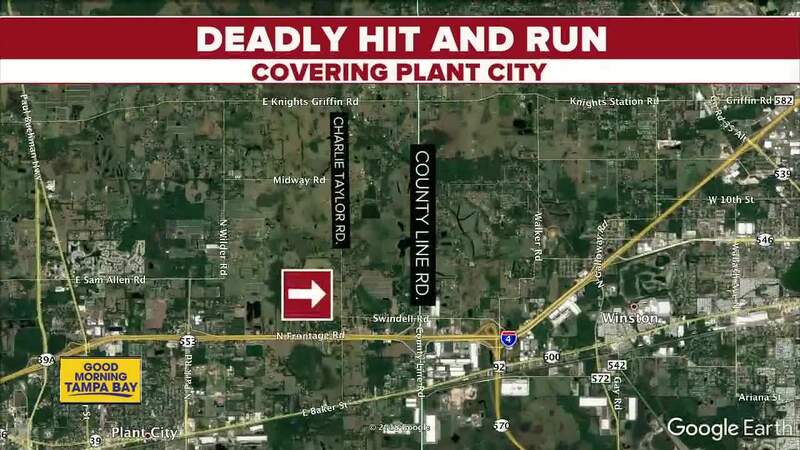 A pedestrian died after a hit-and-run crash in Plant City. 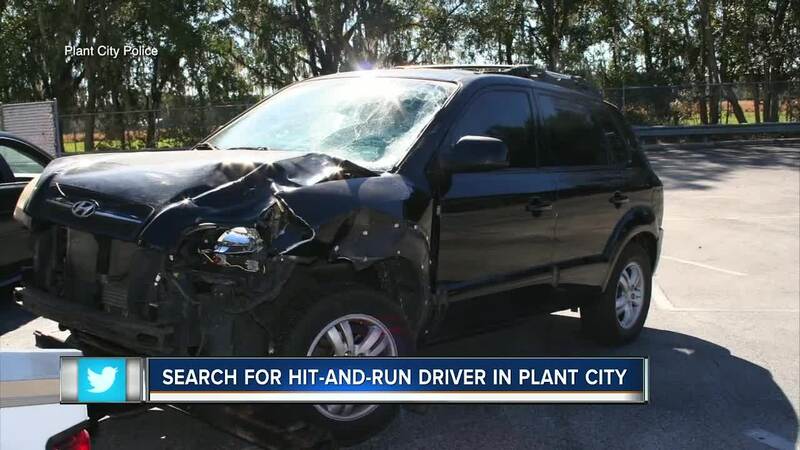 PLANT CITY, Fla. — A pedestrian has died after a hit-and-run in Plant City. It happened around 7:30 p.m. Thursday near Charlie Taylor Rd and U.S. 92. Plant City Police received a call of a person lying on the side of the road that was possibly deceased. Officers arrived on scene and confirmed a Hispanic male that appeared to be in his mid-40s to 50s was dead at the scene. He was later identified as Arturo Martinez-Ramirez, 57. Friday afternoon authorities impounded a black 2005-2007 Hyundai Tucson with heavy frontal damage. They believe this was the vehicle involved in the hit-and-run. It was found by the Lakeland Police Department in a wooded area near a mobile home park. The identity of the victim and driver are both still unknown. Lucian Roman knew something was wrong, as police zoomed past him on 92. “I thought something really bad must have happened. Someone must be dead or a very bad accident," he said. Then his wife told him the news. Someone got run over and the driver was nowhere to be found. “I got scared because my brother himself, he rides his bike down there sometimes," said Ana Chico, Roman's wife. She says she’s been fearing something like this would happen. "It’s a pretty dangerous place, we’ve been going out sometimes and I see people walking and since there’s no sidewalks they are practically in the white line of the street," said Chico. Roman says just the other day his nightmare almost came true and it was him behind the wheel. “I almost hit him," he said, "That scared me, that scared me." Roman says they desperately need sidewalks but a future project is giving him hope. According to an FDOT report from May of 2017 they are considering widening a portion of 92 in Hillsborough County from two lanes to four. Proposed improvements include bicycle and pedestrian accommodations. We reached out to FDOT to ask about the project's progress and timeline. At this time we haven't heard back. As for the hit and run driver Chico just has this to say. "You don’t even do that if you hit a dog on the street. You’re not going to do that if you hit a person. I hope that they catch him pretty soon," she said. Anyone with information is asked to contact the Plant City Police Department at 813-757-9200 or Crime Stoppers of Tampa Bay at 1-800-873-TIPS. Crime Stoppers of Tampa Bay is offering a reward of up to $3,000 for information that leads to the identification and arrest of the unknown suspect involved in this case.